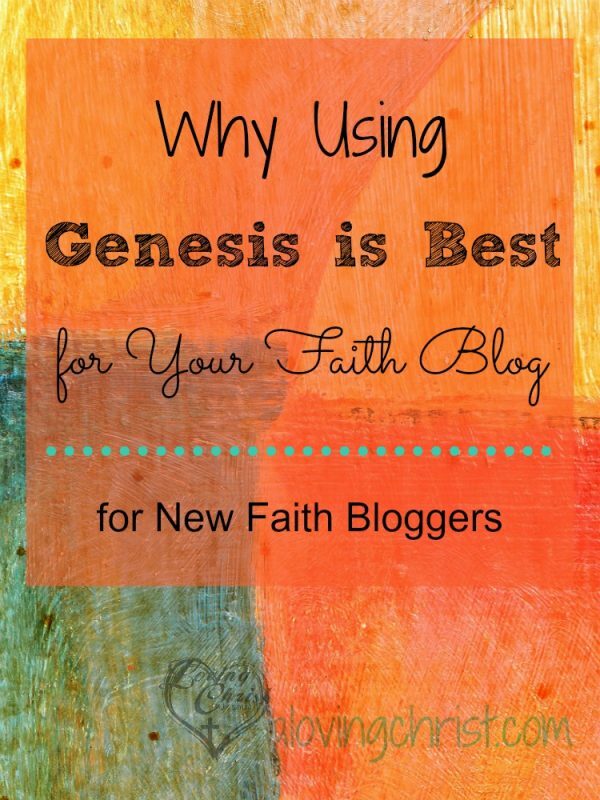 Genesis is Best for Your Blog! When I first began blogging in late 2012, I researched high and low for the most versatile platform and theme to use. After talking with seasoned bloggers through the blogging groups I’d joined, I finally decided on having a self-hosted WordPress platform and a Genesis theme. I installed the Genesis Framework and a child theme that I loved and never looked back. Take a look at these four reasons why I believe Genesis is best! Oh, I know there are probably limits…somewhere down the line. But with Genesis, you’ll have so many options there’s no way you can get to them all. Nor would you need to. You can do pretty much anything you need in with with a Genesis Framework and child theme. Add widgets to the bottom of your posts or to the sidebar for the functionality you need. Use plugins for even more features and versatility. I’m on a pretty tight budget, and I love the affordability of Genesis. When I purchased the Framework, I paid around $60. I noticed recently StudioPress had it on sale, so keep a look out for deals they might offer. Child themes through StudioPress run about $20-$50. Once you have Framework, you don’t have to buy it again. Plus, if you stick with the same child theme, you won’t have to purchase again either. What a great deal! The framework is like the skeleton of your blog. It’s ‘underneath’ everything and the child theme is layered on top. The child theme basically makes your blog ‘pretty’. Because the child theme ‘lays’ on top of the framework like a skin, it never hurts to update the framework whenever an update becomes available. Updating won’t crash your site or break your blog! When you put so much time into your site, it’s comforting to know that you can update and customize without worrying about losing valuable work. Have an issue? The customer support at StudioPress has always come through for me. You can submit a support ticket and get help right away. StudioPress also has an amazing forum full of helpful people. If you have questions, you can log in to your account and find the Forum option in the top right. So y’all. These are the 4 top reasons why you should consider using a Genesis theme. Be sure and take a look at this post – Install Genesis Framework and Child Theme with These Simple Steps – to see how easy it is to install and get started. I’m sure there are other great themes out there, but I plan to stick to my tried and true! Let me know by email or in the comments below if you need any help!